Narborough is a village in Blaby, south Leicestershire. Independents were the first dissenters to arrive in the village, and they arrived early, in the seventeenth century. Baptists were also present, although their history in the village is less clear. The Independent community emerged after the Civil War, when a rector in the village, Rev. Matthew Clark, was ejected in 1662, having refused to conform to the new Book of Common Prayer. Many of his congregation seceded with him. A chapel was said to have been established in that year, although religious toleration was not achieved until 1689. This early chapel had a capacity to seat 350 worshippers. 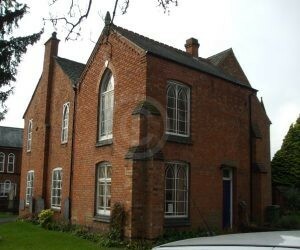 A new chapel was built in 1763, from a congregation said to have been formed in 1706. The presence of Independents remained significant in the village, and in 1829 the return of meeting houses counted them at 480. The religious census of 1851 records that services were held on Sunday mornings, afternoons and evenings, with actual attendance on the day of the census being 120, 200 and 160 respectively, which were also average attendances. 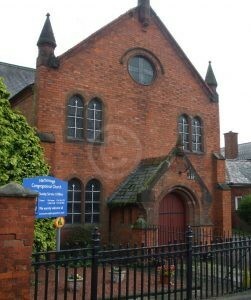 Attendance at Sunday School (attached to the church building) was recorded as 130 for all three times of the day. There is now a large and much extended chapel on the site of the chapel built in 1763. The first extension to this original square building was in 1770 (dated bricks on the northern corner). Since then, there is evidence of continued expansion, most recently in 1900 (dated foundation stones around the base of the building). 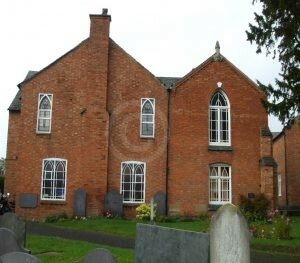 The chapel is surrounded by a burial ground with legible stones dating back to the early 19th century (1812). 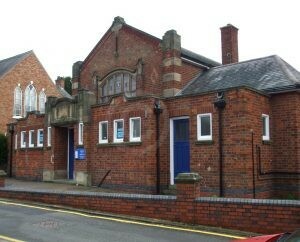 In 1932, due to roadworks at the front of the building, the inside of the chapel was reversed, the organ was moved and the entrance porch relocated from Coventry Road to the quieter School Lane. In 1936 a large Church Hall was built next door, named after Rev James Nelson Robjohns (Minister during the 1860s who left money for Chapel upkeep). 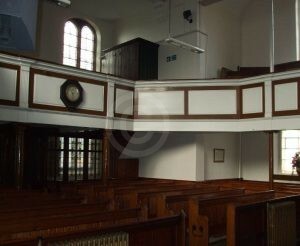 The Chapel is in very good condition but, due to heating costs, is now (2018) used only on special occasions, and the congregation usually meets in the Robjohns Hall. The evidence of a Baptist presence in the village comes from a trade directory in 1895, which recorded the existence of a Baptist Chapel. No indication is given as to when the chapel was built, and no mention of it has been found in any other 19th century source. White, Hist. Gaz. & Dir. Leics. (Sheffield, 1863) p. 698. Kelly’s Dir. (1908) p. 539. White, Hist. Gaz. & Dir. Leics. (Sheffield, 1846) p. 580. Kelly’s Dir. (1895) p. 302.